In order for your home to be the safe haven you wish it to be, you need to make sure that all the important construction elements are taken care of. Your roof is one of the most important things you need to maintain. A faulty roof can cause serious damage to your home. That’s why you need a premium roofing company in Ponte Vedra Beach such as ours on your side. We pride ourselves on being an efficient, affordable, and professional company that will take care of any and all of your home’s roofing needs. Whether you are a homeowner that’s been living in the same home for several decades or someone who’s only just bought their first house, roof maintenance is an important matter. A roof can last roughly around 20–30 years. However, that’s if everything has been installed up to measure in the first place and if you live in a place where the weather conditions are perfect all year round. Unfortunately, such a place doesn’t exist. Anything can cause damage to a roof, and if it’s not taken care of immediately, it could lead to serious problems in the future. Don’t put off taking care of your roofing system, or you’ll be dealing with more than just a leaky roof. Our roofing contractors in Ponte Vedra Beach will assist you with any problem. We take pride in our work, and we enjoy working on new projects every day. Since every home is different, we always succeed in finding the perfect customized solution that will specifically fit all your needs. We believe every home is unique and we treat it as such. Our Ponte Vedra Beach team of roofers provide roofing and home services including asphalt shingle roof replacement, roof repairs, skylight installation, new home construction, solar attic fans, and metal roofing. In Florida, most of our work consists of roof replacements. We use durable, attractive roofing systems which are eye-catching and, what’s more important—sturdy. Every brand we use is dependable, and you can be sure that you will be left with a top-quality roofing system. Whether it’s roof repair or metal roofing in Ponte Vedra Beach, we’re happy to help. If you’re interested in checking out our reviews and ratings, you will see that we receive all positive reviews, and we are a five-star company. There is a reason for that. Our company never uses subcontractors, and we do extensive background checks on all of our employees. This leaves us with a team of professional workers that you can entrust your roof with. 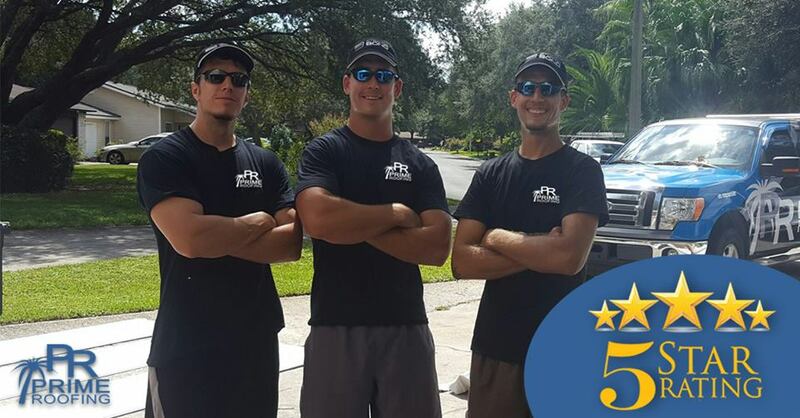 Our Ponte Vedra Beach roofers are loyal to all of their customers, so you can be sure that your roof will be in good hands. Only a short drive toward the coast from Jacksonville will take you to the stunning Ponte Vedra Beach. The first thing that comes to mind when thinking about this location is the beach. The beaches have 40-foot sand dunes that are the tallest in all of Florida. But Ponte Vedra isn’t only known for the beaches, it’s also a prime golfing destination. The lush golf courses are breathtaking. All the seaside resorts are captivating and offer fine dining. Ponte Vedra Beaches are alluring to people of all ages, especially for those of you who wish to escape from the city. Overlooking your roof maintenance can cause serious damage to your home. Don’t waste time on quick-fix solutions that will cause more harm than good. Contact our roof replacement in Ponte Vedra Beach at (904) 530-1446. Every one of our customers receives the best service we can provide. We even offer consultations free of charge for those of you who wish to get an expert opinion.